Our aim is to encourage and promote fishing as an enjoyable competitive sport, Specimen Fishing Online is providing an internet search platform to enable Specimen hunters, Specimen anglers and the Specimen angler, to compete for substantial prizes using the Specimen Fishing Online Competition Entry Pages. 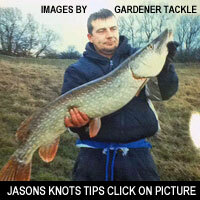 Entry information is also available via our countrywide network of tackle shops and fisheries. We are also providing an internet search directory for angling clubs, Angling societies, Fishing venues and Fisheries, Fishing Tackle shops and online tackle shops, Fishing Holiday Accommodation, Competition News Reports and Angling Tuition, you will be able to network socially with other anglers, post your stories, upload photos of your latest catch, enter a competition and even Free to enter on line quizzes. There are also games offering good prizes.